Desire and transformation are recurrent themes in British artist Mark Leckey's work. In his performances, sculptures, films, collages, and sound pieces, he investigates these ideas by mining his personal history and character--as a man who grew up in a working class family in the north of England in the eighties, a self-described ‘autodidact,’ a participant in contemporary culture, and an artist in London. In his work he celebrates the “tawdry but somehow romantic elegance of certain aspects of British culture” as well as the imagination of the individual, and our potential to inhabit, reclaim or animate an idea, a space, or an object. 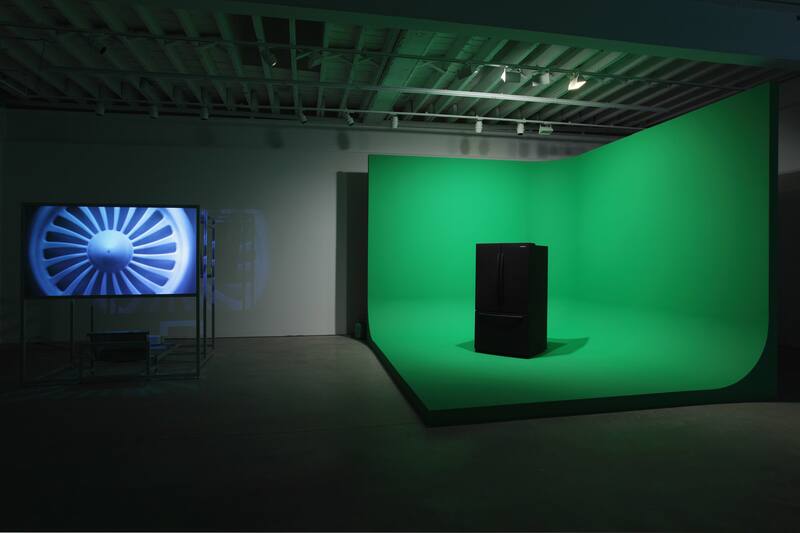 For his residency, Mark Leckey continued his research and explorations into green screen technology, 3D cinema, CGI, and other cinematic effects. He was working towards new video and performance projects. 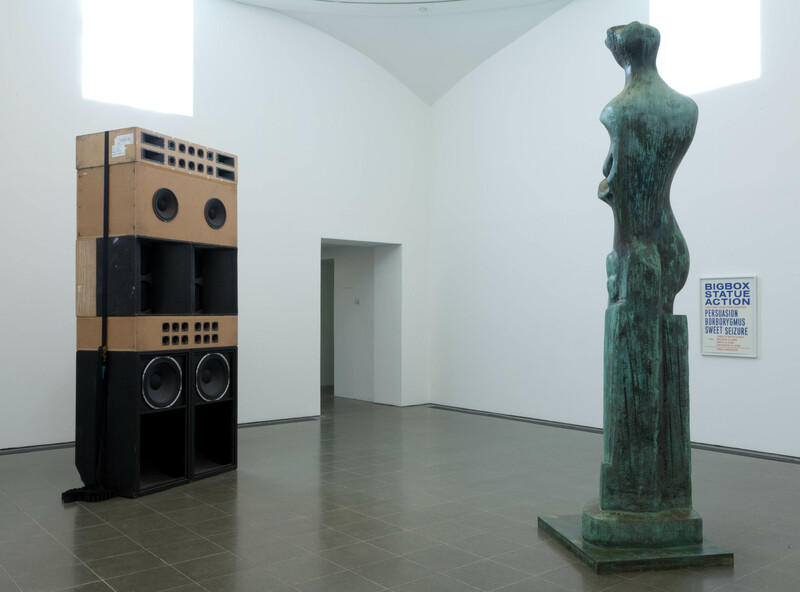 Mark Leckey was born in Birkenhead, Wirral in 1964 and lives and works in London. He received his B.A. from Newcastle Polytechnic, Newcastle, UK. 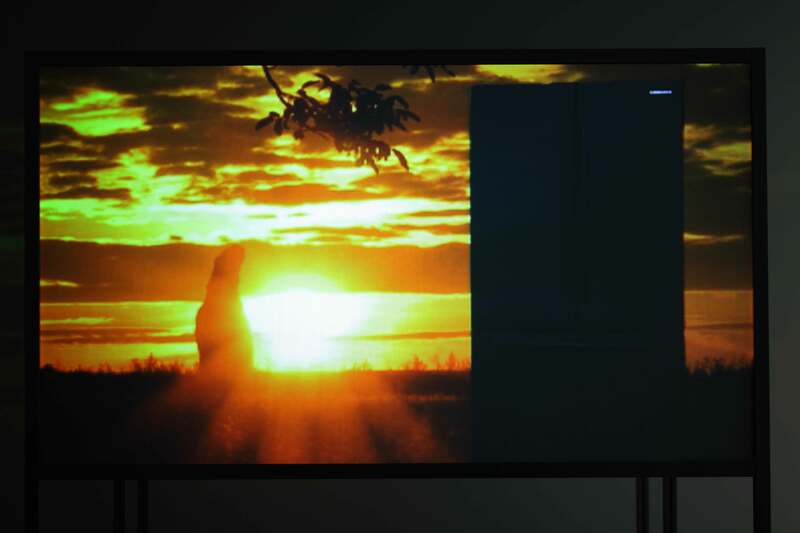 Leckey has exhibited his videos, multi-media installations and collages widely and has had solo shows at the Serpentine Gallery, London (2011); Milton Keynes Gallery, Milton Keynes, U.K. (2010); Kölnischer Kunstverein, Cologne, Germany (2009); Le Consortium, Dijon, France (2007); Portikus, Frankfurt (2005); and Migros Museum, Zurich, Switzerland (2003). He’s been included in several important international exhibitions including 10,000 Lives: The Eighth Gwangju Biennale, Gwangju, South Korea (2010); Moving Images: Artists & Video/Film, Museum Ludwig, Cologne, Germany (2010); Playing Homage, Vancouver Contemporary Art Gallery, Canada; Sympathy for the Devil, Museum of Contemporary Art, Chicago, IL (2007); Istanbul Biennial, Istanbul, Turkey (2005); Manifesta 5, European Biennial of Contemporary Art, San Sebastian, Spain (2004); Fast Forward. Media Art Sammlung Goetz, ZKM, Karlsruhe, Germany (2003); and New Contemporaries, Institute of Contemporary Art, London, UK (1999), among others. Leckey has presented his lecture/performances at the ICA, London, the Solomon R. Guggenheim, New York, the Museum of Modern Art, New York and will be presenting a work for the upcoming Performa 2011 in New York. In 2008 Leckey received the Turner Prize and the Central Art Award, Kölnischer Kunstverein. From 2005 to 2009 Leckey was Professor of Film Studies at the Städelschule in Frankfurt am Main, Germany. His work is included in the collections of the Centre Georges Pompidou, Paris; Hammer Museum, Los Angeles; Museum of Contemporary Art, Los Angeles; Museum of Modern Art, New York; Museum Het Domein Sittard, The Netherlands; Tate Gallery, London, UK; The Trussardi Foundation, Milan, Italy; and the Walker Art Center, Minneapolis, MN. The Hammer Museum’s Artist Residency Program was initiated with funding from the Nimoy Foundation and is supported through a significant grant from the James Irvine Foundation.